Help Hamster Club to keep running, adopting hamsters, continue giving a FREE service, promote successful adoption stories and give information to all hamster owners that seek hamster advice. By giving Hamster Club a donation of ANY AMOUNT, you will be helping Hamster Club in maintaining itself, adopting hamsters and giving support to all hamster owners while ensuring that all adopted hamsters, get their second chances that they deserve. 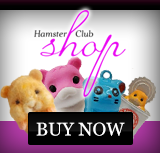 Help Hamster Club in adopting more hamsters in need and in generating more hamster successful adoption services. We rely on your generosity to help continue our efforts. The donations can be of any amount. 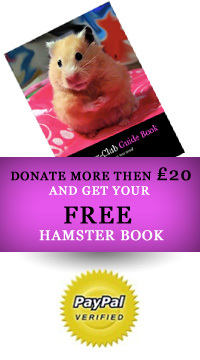 Donate more than £20 and get your FREE Hamster Book. 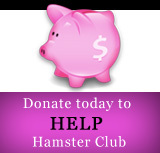 Please click the above donate button to donate and help Hamster Club continue giving its support.